Whether you lead a congregation of twenty people or are part of a church with thousands of parishioners, you likely face challenges when it comes to raising money. Churches usually ask for donations on a weekly basis when they pass around a collection plate or encourage congregation members to tithe. But after a few Sundays with low offering numbers, you might be scratching your head and wondering how you can raise money in a more exciting and innovative way. You have questions, and luckily, we have answers! 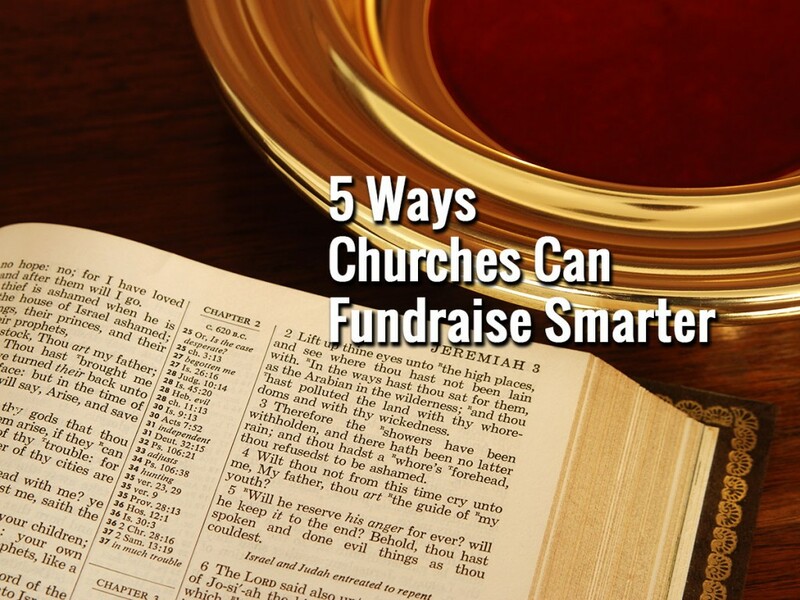 Keep reading to learn how your church or religious group can start fundraising smarter! Take a look at the five most innovative ways that churches can raise more money. Whether your congregation is mostly composed of baby boomers, millennials, or generations in between, you can start raising more money by creating an online donation page. Online giving solutions are becoming a go-to fundraising solution for churches of all shapes and sizes. Because, quite simply, online fundraising is an easy and cost-effective way for churches to raise money. Before online giving, churches could only really receive donations from local congregation members who showed up to Sunday morning services. They might receive a random check or two from members who had moved away, but, by and large, donations were checks or cash deposited in a collection plate on Sunday. With online fundraising, however, churches can receive donations from anyone, anywhere, any time. While many individuals may want to still give in their traditional ways, your church can expand its fundraising efforts by moving to an online giving platform. And if you’re not sure if your website in general needs some work, check out these elements of an effective church webpage. 2. Start hosting better fundraising events. 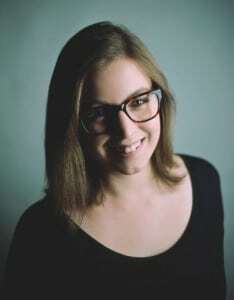 Nonprofits and charitable organizations (churches included!) often turn to fundraising events as a way to get to know their donors better and give them a chance to interact with one another. Because most people in your congregation already know each other and see each other at least on a weekly basis, your church might need to rethink the way you throw a fundraising event. Instead of planning a fundraiser that may or may not draw a crowd, ask your church’s members what kind of event they would like to attend. You can have individuals vote in person or online for the type of fundraiser they’d like to go to. If you have a church filled with runners, a marathon or walk-a-thon might be a good option. If your members can cook delicious chili, have a Chili Cook-Off. When you throw a fundraising event, make sure that your members know that the goal of the event is to raise money for a particular mission or cause. If your members don’t know that your upcoming spaghetti dinner is a youth-group fundraiser and not just opportunity to hang out and fellowship with other members, they probably won’t be prepared to donate. There are so many different types of church fundraisers that you can host. Don’t risk missing out on donations by throwing an event that no one wants to go to. 3. Launch a capital campaign for large projects. Let me start off by saying that capital campaigns are not for every congregation. In fact, they should really only be used for churches that have large financial goals that must be met within a certain timeframe. If your church needs to build a new sanctuary or is planning on sending a large group of people on a mission trip, a capital campaign might be the way to go. See how the second statement is much more specific and directed? When it comes to big projects like new buildings or long-term mission trips, churches can’t afford to be vague or misleading. A capital campaign can give your church the direction it needs to raise a large amount of money in a specific amount of time. This final point hearkens back to tip number one (“Start fundraising online,” in case you forgot!). If you want to receive more donations and fundraise smarter, your church needs to start making multichannel appeals. You ask for large donations in person. Major donors deserve special time and attention. Make sure that you aren’t missing out on large contributions because you didn’t ask for them the right way. Your church doesn’t ignore email. Many of your congregation members have at least one email address that they check on a daily basis. If your members don’t attend church as often as others, you can send them emails to encourage them to return, give them other ways to stay connected, and give them the opportunity to support you if they’ve kept away for extended periods of time. Don’t overdo any particular method. You don’t want to overwhelm your church members with a constant stream of donation appeals. Combine your fundraising asks with updates about the church, information about upcoming events, and more! Multichannel fundraising makes sense for any nonprofit, and churches are no exception to that rule. By diversifying the ways you ask your supporters for donations, your church will be able to raise more money from different sources. If you often find members of your congregation typing away on their cell phones before, during, or after a church service, you might want to look into using text-to-give as a way to raise more money! The premise behind text-to-give technology is quite simple. Donors text a specific keyword (determined by your church) to a phone number. They then receive a text with a link to a simplified version of your online donation form, and voila. Your organization just received a donation that all started with a text message! Using text-to-give can be an easy way for your church to raise money from members who like to give on the go. Your church doesn’t have to abandon the tried and true fundraising tactics that have worked in the past. On the contrary, those methods can be integrated into these five additional strategies to maximize your fundraising potential.Your congregation members will enjoy the new ways they’re able to give back to your church, and you’ll end up with more donations from your supporters.